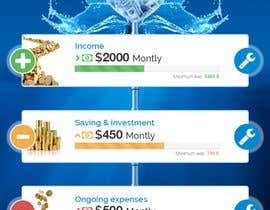 I'm building a cash-flow app to help people understand where their money goes on a monthly basis. I currently have 2 themes for the app I'm playing with (have a look @ the attached) -- but I don't like them. 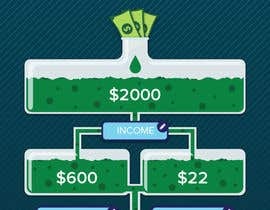 I want something that is cleaner and sharper that depicts the "flow" of money from top to bottom using a theme like water?? and maybe also uses animation. 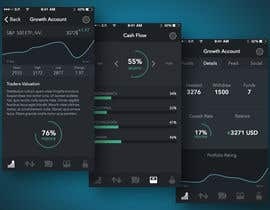 It needs to be a balance between a professional looking serious app and something that's also fun to use. Can you come up with a better design?? So you need an logo for the app? 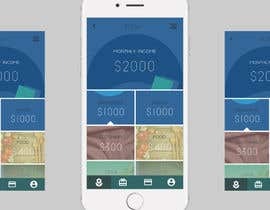 Nope - I wanted the app screen re-designed. Tx for having a look and the feedback!